HUBSAN 501M X4 DRONE WAYPOINTS FPV, RTH, FOLLOW, GPS. 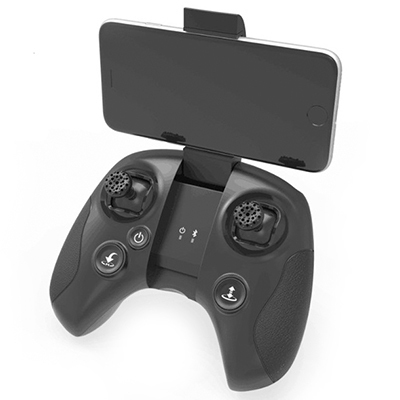 The H501M is Hubsans latest update in the APP driven FPV Quadcopter range and features a built-in 720P HD Camera, return to home mode, built in GPS, GPS waypoints, altitude adjust and superior brushless motors for increased flight time and a headless flight mode to make the quad even easier to fly. 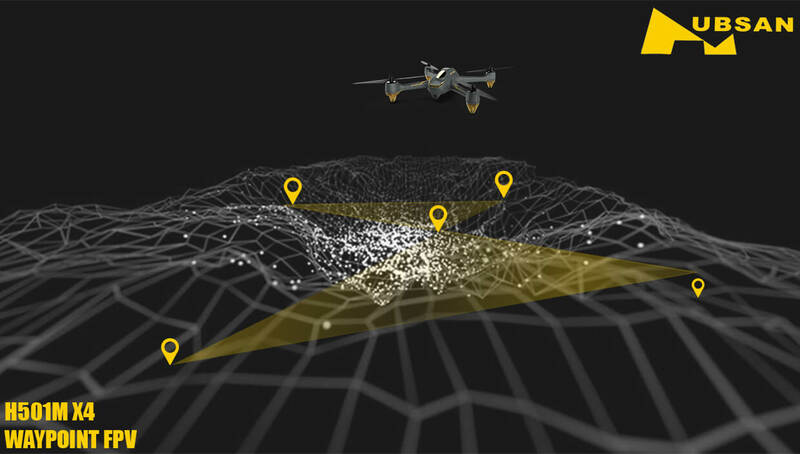 The built-in GPS enables the quadcopter to enter into failsafe mode if the connection to the radio transmitter is lost. 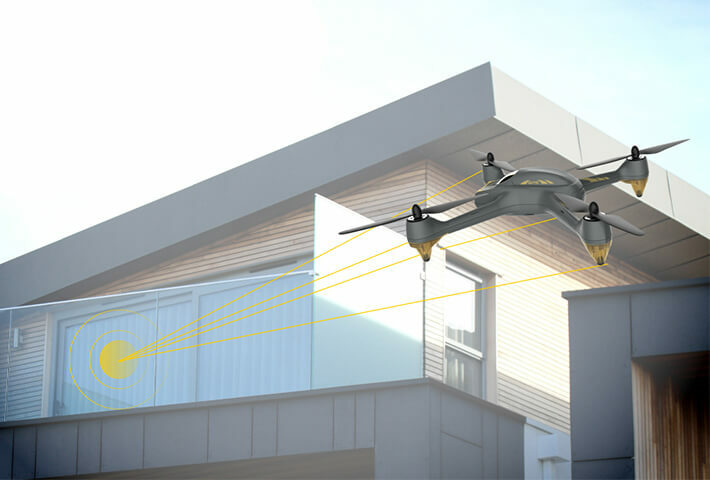 In failsafe mode the flight control system will automatically control the quadcopter and return to the home-point, the intelligent low power failsafe mode will automatically determine when return to home depending on the amount of power it has left. With a stylish and sleek body shape, LEDΆs lighting up the feet the H501M is the ideal entry to a more rewarding FPV and Aerial camera footage experience. Hubsan has done it again and kitted the H501M with an impressive array of features. 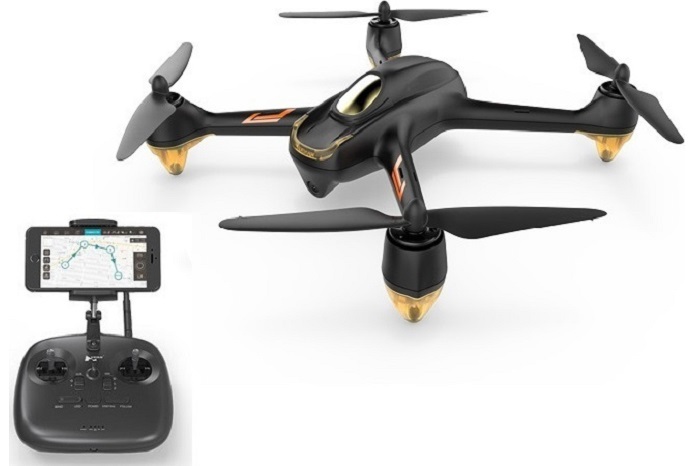 The 720P HD camera allows for some stunning aerial photography and videos coupled with the high capacity battery and altitude height adjust it can give flight times of upto 20 minuets. The Hubsan H501M features a Headless flight mode which makes flying easy and makes the H501M even easier to fly for beginners and more experienced pilots. 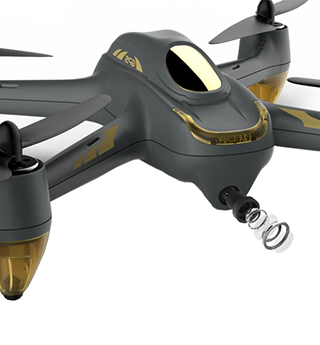 The Hubsan H501M features a 720P HD Camera, which can record stunning aerial high-definition flight videos and pictures. The Hubsan H501M features two failsafe modes, an intelligent low power failsafe mode will automatically determine when return to home depending on the amount of power it has left in the battery, and the signal failsafe mode which will automatically return home using the built-in GPS if the connection to the radio transmitter is lost. The H501M has an array of GPS flight features in addition to the GPS failsafe features, you can set waypoints so the H501M will fly a course you set on the map. The gravity sensor coupled with the accurate GPS positioning help the H501M maintain a fixed position and height, all of this is controlled from the convenience of your IOS or Android device. The H501M is APP driven in this smart device connected world like other new models in the range and is supplied with a traditional transmitter. 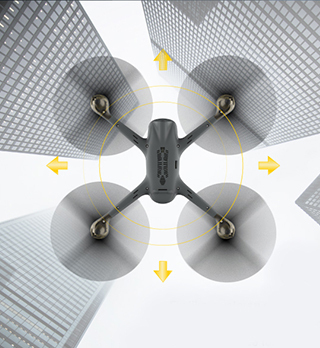 The transmitter allows the H501M to be flown in a more conventional way with a smartphone connected to capture video, stills and use the advanced features of the H501M. 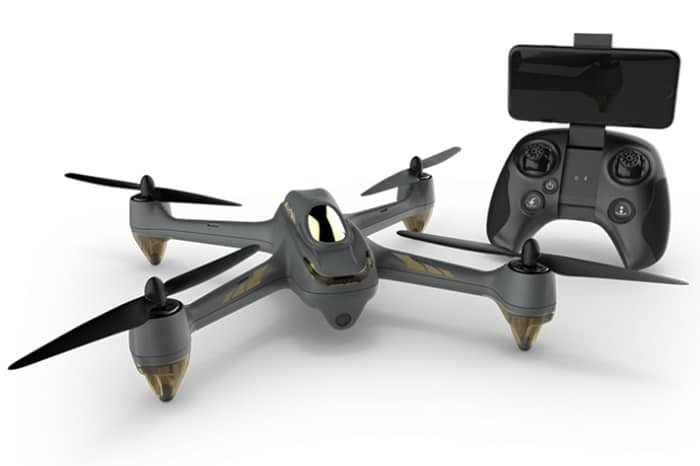 The H501M features a real time 720p resolution WiFi video feed to your mobile device for flying and image capture. 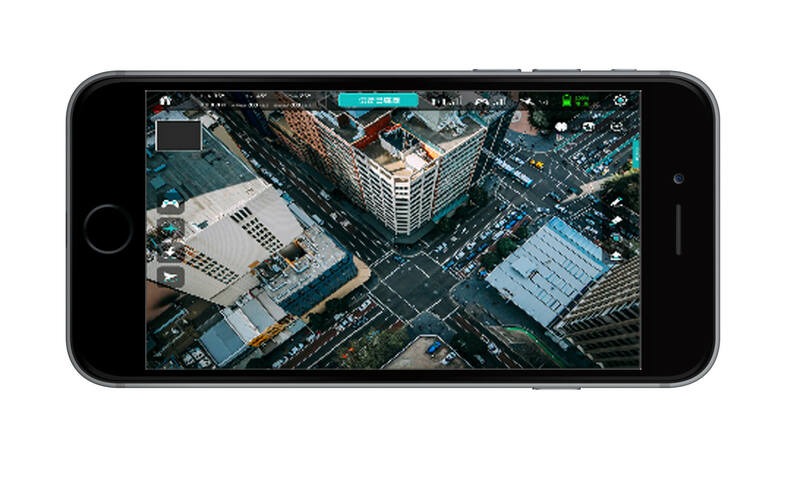 With the orbit shooting you can set a point and your H501M will fly 360 degrees around the orbit point allowing you to capture that perfect image or video.